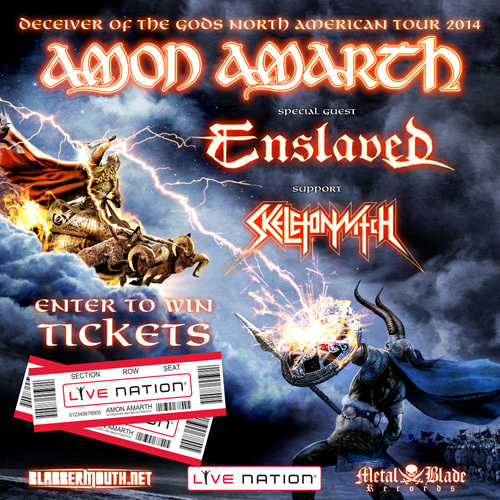 CONTEST: Enter your information below for a chance to win a pair of tickets to an Amon Amarth 2014 North American show. Twenty-five (25) Winners will be chosen at random – One (1) winner for each show listed below – Deadline for entries is January 12th, 2014 @ 11:59pm PST. ontest Has Ended. Winners will be selected and contacted shortly. Tickets for are available now at http://amonamarth.com/tour/.